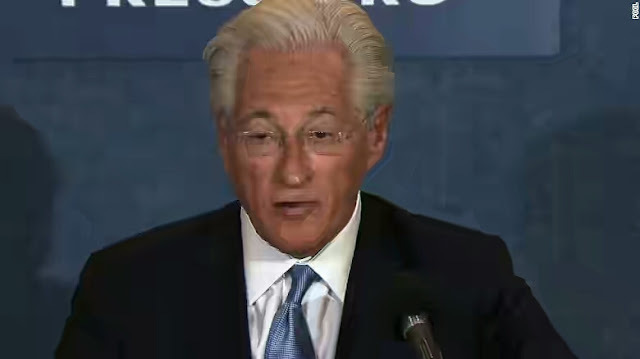 President Donald Trump's lawyer has come out in his defence to tackle James Comey. Senate had earlier today hear what former FBI Director, James Comey had to say. 'Today, Mr. Comey admitted that he unilaterally and surreptitiously made unauthorized disclosures to the press of privileged communications with the President. The leaks of this privileged information began no later than March 2017 when friends of Mr. Comey have stated he disclosed to them the conversations he had with the President during their January 27, 2017 dinner and February 14, 2017 White House meeting'. Contrary to numerous false press accounts leading up to today's hearing, Mr. Comey has now finally confirmed publicly what he repeatedly told the President privately: The President was not under investigation as part of any probe into Russian interference. He also admitted that there is no evidence that a single vote changed as a result of any Russian interference. Mr Comey's testimony also makes clear that the President never sought to impede the investigation into attempted Russian interference in the 2016 election, and in fact, according to Mr. Comey, the President told Mr. Comey "it would be good to find out" in that investigation if there were "some 'satellite' associates of his who did something wrong." And he did not exclude anyone from that statement. Consistent with that statement, the President never, in form or substance, directed or suggested that Mr. Comey stop investigating anyone, including suggesting that that Mr. Comey"let Flynn go." As he publicly stated the next day, he did say to Mr. Comey, "General Flynn is a good guy, he has been through a lot" and also "asked how is General Flynn is doing." Admiral Rogers testified that the President never "directed [him] to do anything . . . illegal, immoral, unethical or inappropriate" and never "pressured [him] to do so." Director Coates said the same thing. The President likewise never pressured Mr. Comey. .
Today, Mr. Comey admitted that he leaked to friends his purported memos of these privileged conversations, one of which he testified was classified. He also testified that immediately after he was terminated he authorized his friends to leak the contents of these memos to the press in order to "prompt the appointment of a special counsel." Although Mr. Comey testified he only leaked the memos in response to a tweet, the public record reveals that the New York Times was quoting from these memos the day before the referenced tweet, which belies Mr. Comey's excuse for this unauthorized disclosure of privileged information and appears to entirely retaliatory. We will leave it the appropriate authorities to determine whether this leaks should be investigated along with all those others being investigated. .
0 Comment to "Donald Trump's personal lawyer reacts to James Comey's testimony"